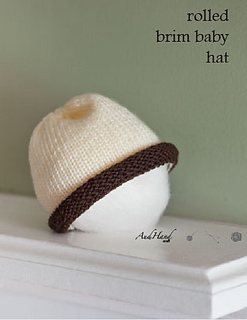 Fun, quick and easy baby hat. 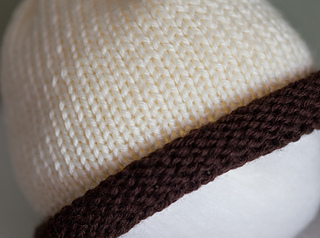 The roll in the brim covers the color change and the cast on stitches so no need for elaborate cast on. Can use circular needles to start but will need to finish up with double pointed needles or the magic loop method. 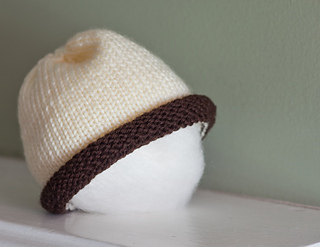 1 skein of each color will make you a few hats. You can get a few brim colors and make a bunch of different color combinations!